A plugin to integrate Facebook with MyBB, letting users login and register through Facebook. Have a look also at MyTwitter Connect, MFC's twin plugin to connect on MyBB with Twitter! 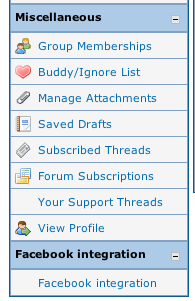 A bridge between MyBB and Twitter, featuring login, registration and more. A bridge between MyBB and Google+, featuring login, registration and more.